Our family has been involved with Rocks & Minerals since the early 60's. Dr. Walton was an avid supporter of providing collectors with the best selection of minerals that could be supplied. In the 70's He and his wife Marie were active in promoting mining and collecting of rare rocks and minerals in Central America. They provided many collecting activities throughout Panama as well as collecting thru many other countries between the U.S. borders and South America. Many of the items are in our shop today. While back in the U.S.A., Dr Walton promoted many Rock/Mineral/Gem Shows Pennsylvania, Ohio, and West Virginia, North Carolina as well as other events in Arizona. 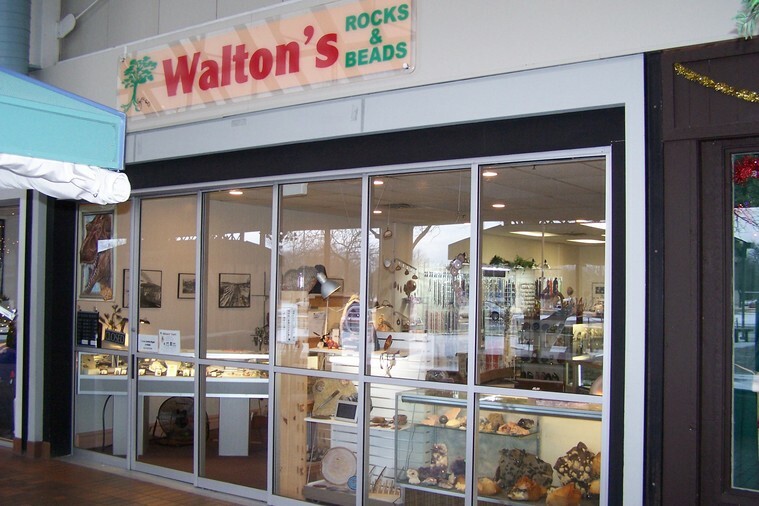 Marie Walton ran a Rock Shop in Franklin, North Carolina for several years, providing locals as well as visitors with a great selection of Native stones. Marie is currently in Colorado with Cathy. Cathy Walton is currently providing Native American Artwork as well as Jewelry in the state of Colorado. Her store is located west of Colorado Springs. The Current Owner of JKWEnterprise LLC (Walton’s Rocks & Beads), has been able to travel the world, thus having a wide selection of Rocks, Minerals, Fossils from places that most folks dream of going to or watch on TV. You can always here: "If you don’t see it, Ask, I may have it somewhere." The combined operations of the Walton’s represents over 50 years of collecting and selling. We will continue in the spirit of Dr. Walton and provide the best for a reasonable price. Thanks for taking the time to review this page. to traveling and sales runs. Contact us thru the 888 line.